The World Flying Disc Federation (WFDF) is pleased to announce that two additional discs for WFDF and USA Ultimate (USAU) championship-level competition have been approved. The Discraft UltraStar, Web Mold II – Hot Stamp and the Yikun Sports UltiPro both were granted championship-level approval by the Disc Standards Working Group. The approval of these two discs brings the total of WFDF and USA Ultimate championship-approved discs to seven – five of which are manufactured by Discraft with a variety of molds and printing processes. WFDF’s disc approval process is one that is ongoing, and additional manufacturers and models are under consideration for both championship and general level approval on a regular basis. 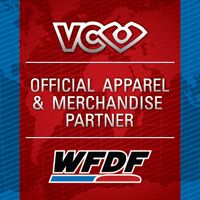 WFDF relies on the certification work of two of its member associations for approval of disc models -- USA Ultimate (USAU) for the discipline of Ultimate, and the Professional Disc Golf Association (PDGA) for the disciplines of Disc Golf and Overall Events – which differs for each given the nature of the events. USA Ultimate employs a Disc Technical Standard that specifies the official size, weight, and other characteristics of USA Ultimate- and WFDF-Approved discs for Ultimate. 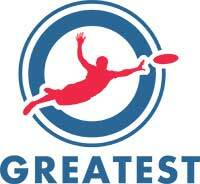 Once a disc meets these criteria, USA Ultimate begins a multi-level player review of the flight characteristics of a candidate disc, a 50-person Flight Test Pool comprised of geographically diverse male and female athletes in USA Ultimate’s college and club divisions. This approach ensures that candidate discs not only meet the size and weight requirements, but also have acceptable flight characteristics, comfortable grip for players of all sizes, and reasonable catchability. Please see the WFDF website for a more complete description of the disc certification process.